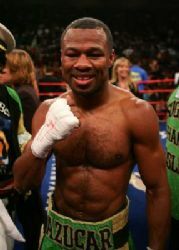 Best Known Fight - Stepping up to Welterweight to beat Oscar De La Hoya in a close battle and then winning the re-match up at Light Middleweight, entering as underdog in both fights. Best Career Win - Beating Phillip Holiday who was 31-0 at the time to claim his first world title, lots and lots of good wins since then obviously against the likes of De La Hoya and Fernando Vargas. Description - Amazingly fast hands and puts together unbelievable combinations which dazzle opponents. Tough as well has never been stopped.